Year 5 have been finishing off their mountain art, experimenting with charcoal and pastel - looking at how smudging can change the shade of a particular mark. The final outcomes look immense, well done! 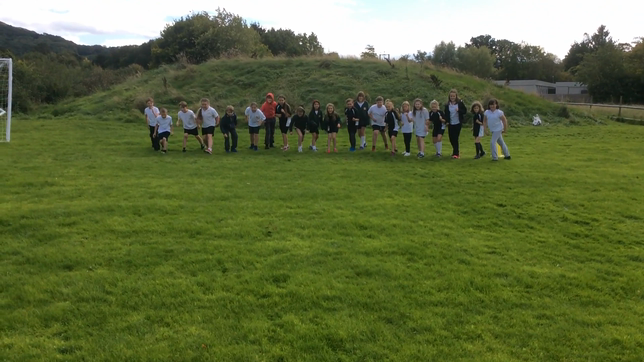 Red Kite Class have been sharpening their tennis skills in their outdoor P.E. lessons, the skill level on show has been immense and the children have had a real desire to learn and develop further. This week we particularly focused on how the speed in which we move our arm can dictate the aim and distance of the shot. Year 5 have been combining their literacy work (writing roller coaster adverts) with their computing expertise to create roller coaster simulators, using their designs to consider their vocabulary use as well as the unique selling points of their fictional roller coasters. It took over 35 attempts and many, many more sums and combinations but Frankie and Ella finally cracked one of the more difficult 'Top Banana Challenges' that Year 5 have ever seen! Great stuff both, your perseverance and dedication to your work was inspirational, keep it up. Year 5 have been learning all about the meaning of contour lines on maps, and have taken their learning into creating potato mountains to show contour lines representing constant elevation around a hill or a mountain. See the pictures of their work below. See below, for a piece created from scratch from one of our students in Red Kite Class. Let Red Kite Class tell you through their fantastic poster work detailing the journey from mainland Europe to Britain and the history that surrounded it. We are really enjoying our work from Smriti Prasadam-Halls book: The Ways of the Wolf and have started to develop our work around the lives of wolves. Look at what's gone up on our working wall for an idea. Last day of term, first class book finally finished. And what a journey it was! Over the past few days we have left the story on a cliffhanger (it's very hard not to over the last 30 pages or so). But this morning we finally finished Adam Baron's Boy Underwater, it was excellent! Some of the children even applauded as I read the final words and shut the book. That's what reading is all about. I wonder what the children will vote for for next half term? We took the time to explore how gravity works and the relationship between gravity and mass and how things fall to the ground at different speeds based on their mass. We had an interesting discussion around the difference betwee weight and mass before experimenting ourselves. As we continue our Fiery North topic (exploring the volcanoes of North America) we got our hands dirty to make some clay volcanoes that showed the inside structure of a typical volcano. Pictures of the final products will be up soon and on display in our class assembly on the 12th of October. We've made a fantastic start to our learning in Red Kite Class this year, have a look at our 'working walls' which show our learning journeys in topic and maths so far. As the weather is so beautiful, Red Kite class took the opportunity to head outdoors and become location scouts, looking for the perfect places to shoot new movies. We used the app Typorama to produce some fantastic pieces below. Over recent weeks we have been writing about the thoughts of children in their own Auggie moment (RJ Palacio's Wonder character). The children were full of fantastic ideas and were quick to see how many different people can be thinking very different things when faced with an unfamiliar and peculiar sight. Stay tuned for examples of their final pieces, they're worth the wait! This week our computing learning took us to look at the idea of Fake News. We learned why fake news can be harmful and why there is so much of it on the internet. After discussing ways to identify and avoid falling for fake news (wild inaccuracies, spelling mistakes, spotting trustworthy sources etc), we set to work on creating our own stories (with some top tips!) to promote internet safety and awareness of this very relevant danger. Brilliant effort all round guys! Some great ideas! Red Kite Class got stuck into some stop motion animation this week and produced some fantastic results. The idea was to create a 20-30 second 'video' that showed some sort of rescue mission. Well done Red Kite Class! On Wednesday our school welcomed back Collette from Create Build Learn for a Lego workshop in Year 5 based on our current topic 'Marbulous Structures'. Charged with planning and building famous landmarks from around Colwall, Malvern, Ledbury, and Worcester the children spent their morning constructing, discussing and imagining these brilliant buildings in lego form. Myself, Mrs Sanders and Collette were amazed at how the children got stuck in, experimented with ideas and worked together to make their ideas come to life. We owe great thanks to Collette for coming in and leading the activities, she was knowledgeable, helpful and full of great ideas. It was great to have her back in school again! 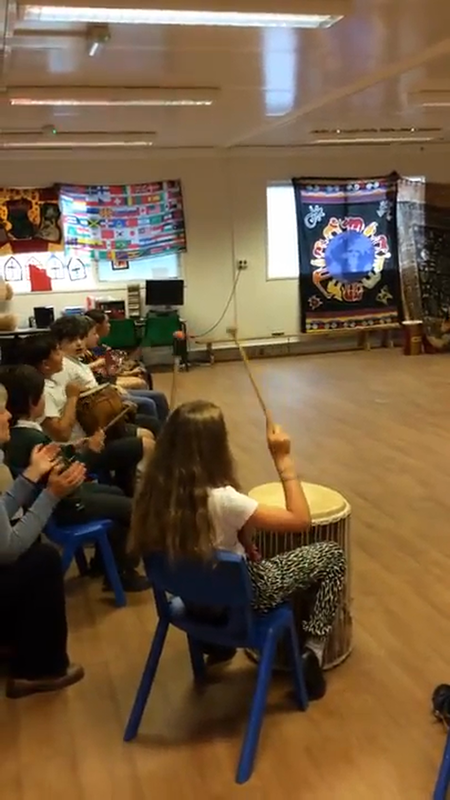 It truly is a brilliant experience and opportunity for children and teachers alike. Take a look at the photos. Can you identify which buildings we were trying to recreate? As part of our Marbellous Structures topic, we have been exploring a range of ways to build freestanding structures. This week we explored simple cutting joins. 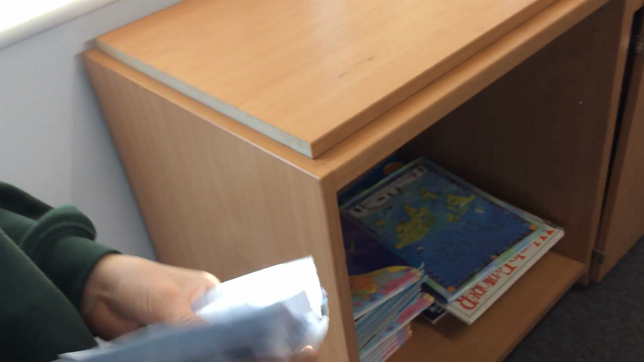 We have also created miniature marble runs by reinforcing paper, and using folding techniques for strength and sturdiness. Year 5 Science Day was a huge hit! Thank you to Mrs Leach for all of the planning and preparation that she put into it. In Year 5 we tackled 3 scientific investigations. The first was about making bubbles of different sizes and whether we could make them last for a long time. The next involved water: ‘How much water can you fit onto a penny?’ – this allowed the children to explore the idea of surface tension. We ended our day with a fireworks in a glass experiment that didn’t go entirely to plan, but as scientists we accept failure and re-evaluated our methods and approaches to some success. Well done all you were fantastic! My Scientist of the day was Tim, well done Tim! As part of our Maths this week, we have continued to explore and understand fractions. We have applied varying visual methods to master the idea of an improper fraction in order to convert it into a mixed number. Well done on some top work Year 5! To celebrate World Book Day 2018, we took inspiration from Oliver Jeffers' fantastic book The Day the Crayons Quit. We adapted his idea to suit our own: The Day the Veggies Quit. The children of Red Kite class characterised their own vegetables and wrote letters to a range of supermarkets explaining why they (the vegetables) have decided to up and leave! We have spent this half term exploring the value of a community- particularly our community that surrounds our new School. We understand the the Bible teaches us to embrace and help our communities as well as to build communities on God's foundations. Take a look at some of our ideas below. To aid our current Mountains topic, and to follow on from our fantastic rock-climbing trip, Red Kite Class welcomed a special visitor to school on Tuesday. Tom, from Ascential Climbing, is a local based mountaineer who happily volunteered his time to share his expertise with us. On his visit Tom told stories of the mountains he has climbed as well as showing an array of kit (that the children got to grips with) that he takes on his many climbs. Tom was incredibly knowledgeable and answered the children's many questions. It was great to have a mountain specialist in the classroom - thank you Tom! Red Kite Class kicked off their week with a fantastic trip to the Redpoint Climbing Centre in Birmingham. Here the children had an action-packed hour of climbing on the centre's state-of-the-art climbing walls. The trip was aimed at developing children's confidence and resilience as well as applying itself to our current mountains topic. The children were split into groups and each group took it in turns to climb different routes and be set different challenges. 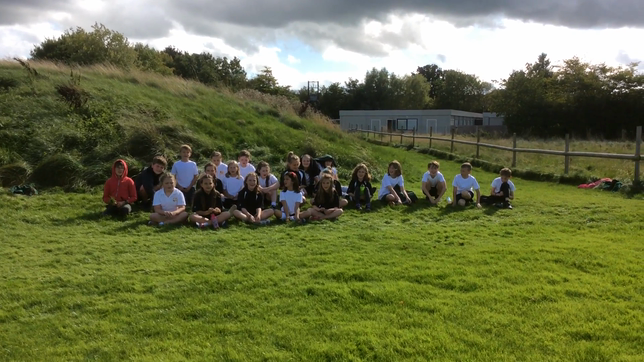 The most noticeable thing was how all of the children rose to the challenge and achieved their own personal goals. Leadership and teamwork skills shone throughout - it was inspiring to watch the children help one and other and grow as a unit! A big thank you to the Redpoint Birmingham team, who were very skilled, welcoming and knowledgeable. Each instructor was fantastic and led their respective groups in a fantastically nurturing way. Over the past couple of weeks we have been working tirelessly on our own mountain based survival stories. We have taken inspiration from the stories of Beck Weathers among others. Today, we added a mystery spin to our narratives. Upon our descent we discover a mystery box buried in the snow near to base camp. But what is inside? Today in Red Kite Class we consolidated our knowledge of perimeter of shape by creating some fantastic pieces of 'block' art. With our finished pieces we were able to calculate the perimeter. We made it! We have settled into our brilliant new environment like ducks to water! Prepare yourselves for more learning updates from our new abode! 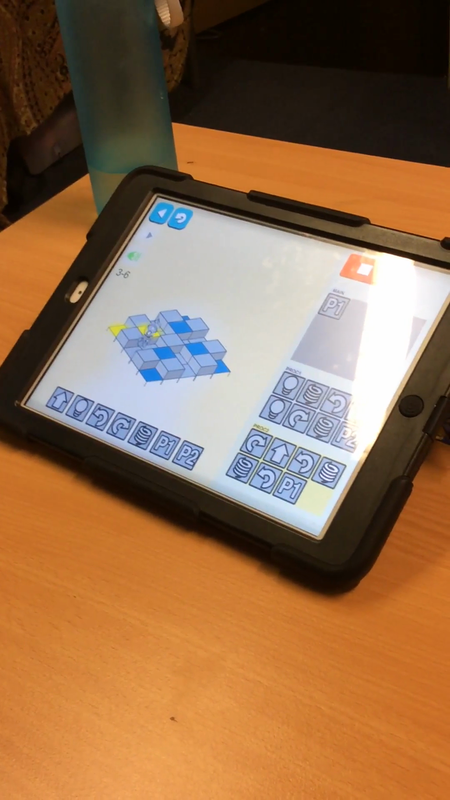 Red Kite Class have been busy getting stuck into some coding recently, the children have been animating characters using Tynker to move around a stage and engage in a range of interactions. In Literacy, we have used 'The Ridge' which documents Danny MacAskill's journey up to the peak of the Cuillin Mountains on the Isle of Skye - stay tuned for some fantastic diary entries. We said goodbye to our 'Fiery North' topic by creating clay volcanoes and testing the reactions of vinegar with sodium bicarbonate (lava). 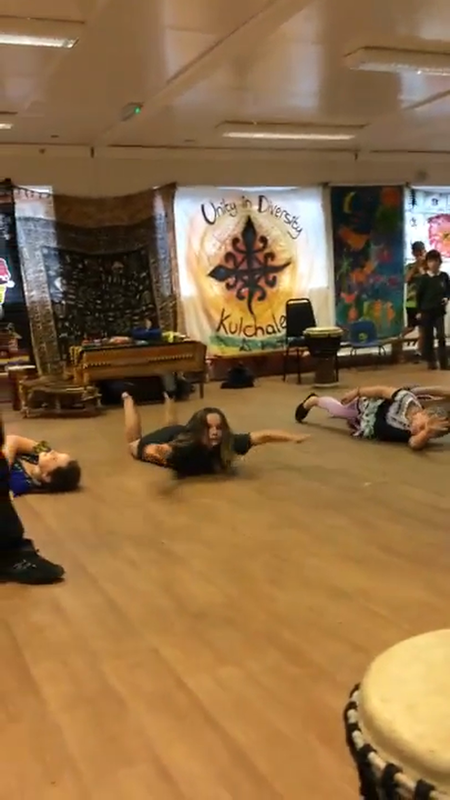 We have been incredibly busy both in and out of class recently. Firstly, Niamh, Ava and Chloe all had recent sporting and extra-curricular success through Blue Peter, cricket and karate respectively. We have used our computing skills to do some image editing in order to create some of our own hybrid animals to help inspire our literacy work whilst in Maths we have continued to focus on subtraction. We celebrated our Volcanoes of North America topic with a visit from the Freshwater Theatre Company for a drama workshop. In addition, we have been busy experimenting with forces in Science as well as continuing with our fantastic non-chronological reports in literacy. We have enjoyed another busy week in Red Kite Class. The children have got to grips with ordering and comparing numbers by using famous Twitter accounts and the amount of followers that celebrities have. We also explored the use of Zimmer Twins which allowed us to build stories and experiment with dialogue in literacy. We also continued with some fantastic work in Science looking at different variables in a range of experiments. In Literacy, to tie in with our Africa topic, we have started to read and explore Elizabeth Laird's 'The Fastest Boy in the World'. Take a look at some of our initial observations and visual reminders of the plot using the app Typorama. We have been working on our coding skills, with focus on 'loops' and 'repetition'. This is a video of Miriam building this complicated code. Great perseverance and attitude toward her learning! Superstar! Andy took time on Soundation to create a fantastic (self-produced) piece of music. Very funky and professional. 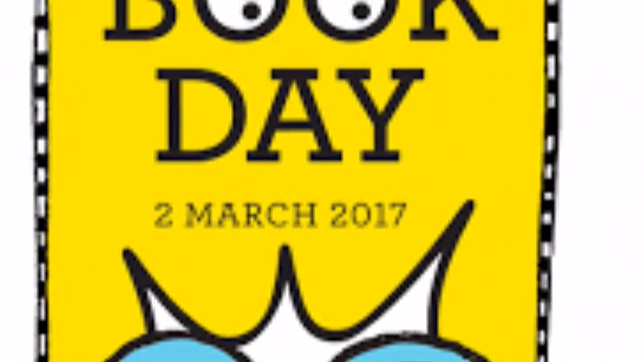 A little snapshot of our fantastic day celebrating World Book Day 2017! This may take several minutes. Once the processing is complete, the video will be shown here. In Red Kite class we discovered the Attenborough in us all as we used our own playground to search for, and document the strange homes, plants and creations found on Neverbelieve. Some children found amazement when discovering the chocolate tree! Book mountain had groups of children dazzled by its storytelling, whilst the pasta tree was a delightful treat for those who tried it. In Literacy we have started to explore the strange and mysterious land of Neverbelieve. Based on the brilliant book by Norman Messenger we are aimining to write letters to none other than Sir David Attenborough! Why? Because we have discovered a new hybrid animal on Neverbelieve. Using web based music studios we have been able to develop and build compositions with an awareness of instrument, tone and pace. 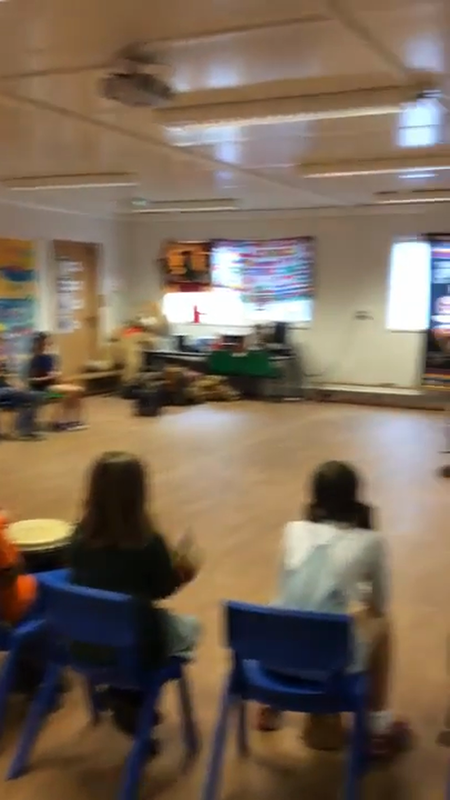 The children have produced some fantastic pieces and clearly have a talent for creating a soundscape from scratch. See below for more examples of the children's work. Using 'Tiddlywinks' to Understand Percentages! With the start of a new term comes a new topic! 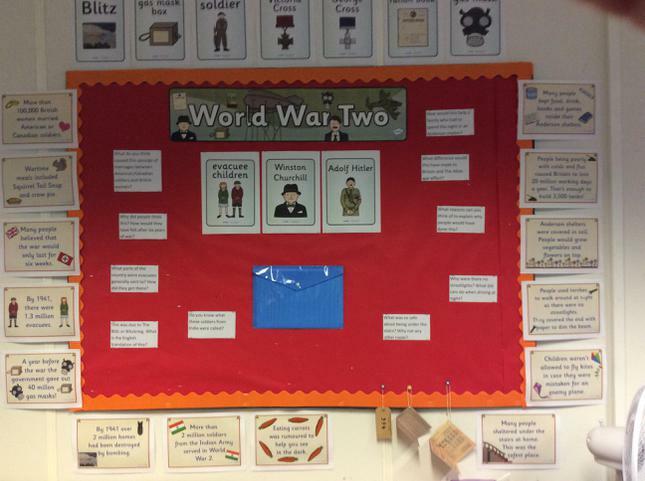 This term in Red Kites we are looking at World War II with a particular focus on life in Britain at the time. Using some information posters, the children have the started to develop their own questions that will direct their research throughout the topic. After all, good history stems from good questioning! As always we are continuously on the look out for books, replicas and documents etc. that will develop our insight into our new topic. If you think you may have something and are of course willing to share it, please do not hesitate to let us give it a new home for a short while.